Kumar said this while responding to queries as to whether he looked at the poll strategist- turned-politician as his political successor. 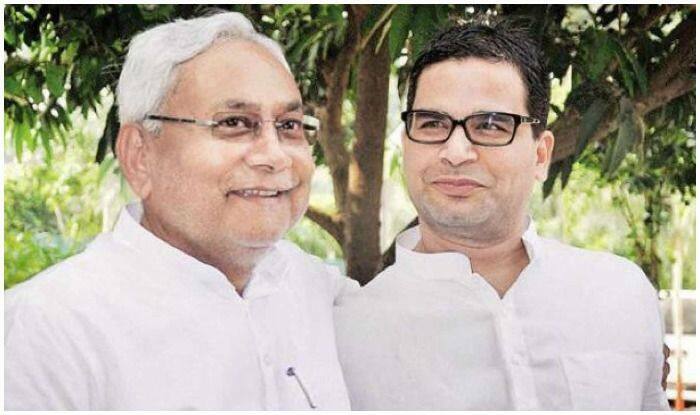 Patna: Bihar Chief Minister Nitish Kumar on Tuesday night claimed that he had twice received suggestions by BJP president Amit Shah for inducting poll strategist Prashant Kishor into his JD(U). Speaking at an event organised by a private news channel in Patna, Kumar said this while responding to queries as to whether he looked at the poll strategist- turned-politician as his political successor. “He was not a newcomer for us. He had worked with us in the 2015 assembly polls. For a brief period, he was busy elsewhere. Please let it be known that none other than Amit Shah had asked me twice to induct Kishor in the JD(U),” he said. “Prashant Kishor has been assigned the task of attracting young talent, from all social segments, to politics which was becoming inaccessible to those not born in political families,” he added. “I have a lot of affection for Prashant Kishor. But please, let us not talk in terms of successors. This is not a monarchy,” Kumar said. He also said he had “a lot of love” for RJD leader Tejashwi Yadav, his former deputy, “irrespective of the acerbic language he uses against me”. “Even with Lalu, I only had political differences. It never affected our personal relationships,” he said. He also stated that leaders like Tejashwi and former UP Chief Minister Akhilesh Yadav “ought to remember that whenever they emerge victorious in an election, they are blessed by the people for whatever promise they themselves hold and not by virtue of their family background”. “Mahatma Gandhi considered politics without principles a social sin. Dynasty politics, which I have always been opposed to, is an example of politics without principles,” he quipped.